Get ready for the cold snap of winter well in advance with Snugbags. 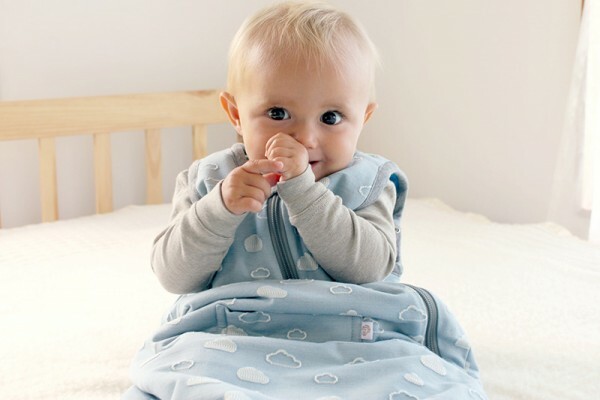 Your baby will be as snug as a bug all night long, swathed in an organic cotton and Merino lined sleeping bag to ward off any chill in the air. Sporting a unique diagonal zip and shoulder studs, a Snugbags Merino sleeping bag is a sleeping bag no pint sized Houdini can wriggle free from. The Snugbags design also includes slots to thread a harness through, which is frankly genius if you have to take a sleeping babe from the cot to the car or pram for the school run. Made in New Zealand (that’s enough to know they’re going to be super warm, right? ), organic cotton, bamboo and the very best quality New Zealand Merino wool is used to create each Merino sleeping bag. Choose from three weights – Standard (suitable for room temps between 18-27°C), Winter Duvet (15-22°C) and Winter Duvet Deluxe (12-20°C), your little one is taken care of, whether you’re enduring a mild Northern Queensland winter or a bitterly cold Tasmanian one. Snugbags Merino sleeping bags are available several designs and in two sizes – newborn- 2 years and 2-4 years. It goes without saying (but I will anyway), getting two years use from each sleeping bag is incredible value for money. Standard weight Snugbags Merino sleeping bags are priced from $159, Winter Duvet from $169 and Winter Duvet Deluxe from $179. Order direct from Snugbags.